We perform regular primary and secondary research in the area of sustainable shared value creation. Our team builds on a wealth of experience in market research. Michael D’heur has been the Co-Author of the PRTM/PwC Global Supply Chain Trends Study for 6 consecutive years. 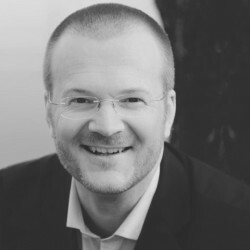 Michael D’heur is author, speaker and adviser on sustainable shared value creation. He has speaking, workshop and consulting engagements with clients and leading value chain associations around the world. He regularly performs as speaker at international conferences. With a multitude and growing number of sustainability and operations challenges, it is not always easy to find approaches that really change the status quo. Generating the required ideas to enable systemic change, requires to bring various perspectives to the table and openess to let go on traditional approaches. We conduct think tank events to review sustainability and operations challenges in a cross-industry and cross-sector manner. Only if all relevant stakeholders jointly work on identifying resolutions for the most pressing issues, we will succeed. How do economic, environmental and societal factors impact the value creation process of a company? What requirements and expectations need to be met to balance economic, ecologic and societal value creation? What are the building blocks and measures that can be utilized on the journey towards sustainable value creation? What benefits can be achieved through sustainable value creation? What are the practicle examples of sustainable value creation in leading companies (big and small), that can inspire others to follow? “CSR und Value Chain Management” (German Edition) (ISBN-13: 978-3642398889, 260 pages; €29.90), Michael D’heur (Eds.) was published at Springer Gabler Editors as part of the book series „Corporate Social Responsibility“. It is addressed to those in private or public sector companies who are responsible for logistics, supply chain management, innovation, production and marketing as well as CSR or sustainability. The editor Michael D’heur is the founder and managing director of shared.value.chain, a think tank and management consulting for sustainable shared value. He supports multi-national as well as small and medium sized companies in improving their global value chains (from strategy to implementation). By doing so he builds upon his experiences from international supply chain transformation projects in 12 different industries, 8 countries and 3 continents. He is a thought leader on global value chain trends and renowned speaker at supply chain conferences. Michael D’heur studied Economics and Business Information Systems at the University of Siegen.